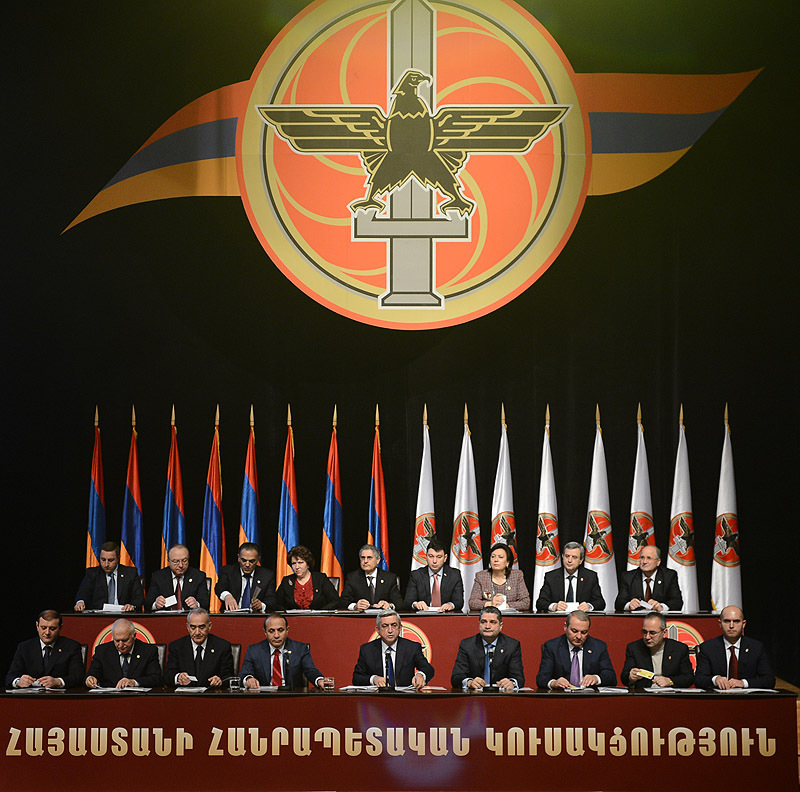 Today, at the 14th extraordinary Convention of the Republican Party of Armenia, Serzh Sargsyan was unanimously nominated a candidate in the upcoming presidential elections. He expressed thanks to the fellow republicans for the nomination and support of his candidature, “I am confident that together with you, we will be able to gain our people’s trust and in the next five years will continue to bear responsibility for the development of the Republic of Armenia. I would like to assure you once again that in the process, I will not do anything to embarrass you,” Serzh Sargsyan said in his acceptance speech after the nomination.